Lemon water is the source of vitamin C, which is very useful for the body. Substances containing vitamin C soften the skin of the body, in which lemon water has lots of health benefits. The doctor told you to drink some lemon juice mixed with hot water and you can also mix honey in it. Usually we all start our day with a cup of coffee or tea. But few drops of lemon in hot water can be a part of your daily routine. Often you must have heard that drinking a lemon juice with a glass of warm water in the morning is very good for us. Today we discuss about " 14 (Unknown) Benefits Of Lemon water "
Water is very good for your health because it is the best way to keep the body hydrated and it helps to remove harmful toxins. Lemon is a good source of nutrients such as calcium , potassium , magnesium, iron and vitamin A , vitamin C and vitamin B-complex as well as pectin fibers , proteins and carbohydrate . Acidic properties are found in lemon. It is also helpful in maintaining the pH level of the body. This makes the liver active and helps in the removal of toxins present in the body. If you are suffering from fever drink lemon water immediately. It will decrease the Heat of the body and give you relief. Nutritious ingredients such as vitamin B and c, phosphorus, proteins and carbohydrate present in lemon make it a natural active energy agent. It hydrate your body as well as supplies oxygen in it, which keeps you alive and vibrant all day. Apart from this, the lemon fragrance also includes mood improvement and energetic qualities. Many times it happens that we take some nutritious food throughout the day, but they can not take full advantage of them. But starting the day with lemon-water, the body's digestive tract activates and the nutrient absorption capacity increases. Antibacterial properties of lemon are extremely helpful in fighting throat infection and soreness or problems related to tonsillitis . In fact, people who drink a glass of hot water with lemon every morning, the chances of developing infection in the throat are greatly reduced. This healthy drink also helps prevent respiratory problems like asthma . If you have pain in your throat then drink this healthy drink and you can use it to rinse the treatment process. Lemon Water Cures Bad Breath. The acidic acid of the lemon, medicinal properties of honey and water can be very helpful in eliminating dirty breath. It clears the mouth and activates the production of saliva and kills the odour producing bacteria. So quickly drink a glass of hot lemon water and feel a fresh refresh in your breath. High levels of vitamin C are found in lemon, which is beneficial and effective for fighting common infections. So to boost your immune system drink lemon water. Pectin is found in lemon-water, which is helpful for weight loss. On the contrary, drinking tea or coffee in the morning increases the amount of cholesterol in the body and also affects the sugar levels. 📚A study published in the Journal of Clinical Biochemistry and Nutrition has shown that poly phenol antioxidants found in lemon help to significantly increase the weight due to high-fat diet due to rats. In addition, the insulin resistance of rats was also improved. While humans need to prove this outcome. The real thing is that lemonade helps in weight loss. However, there is still a need for scientific research on this subject. By taking 6 to 8 drops of lemon with hot water in the morning, it is helpful in reducing weight. Apply a lemon juice to itching, or itching infections. In a short time the problem will be overcome. If there is pain in the teeth then apply lemon juice to that place and get rid of pain. Lemon juice can stop blood flowing in the gingiva. At the same time, it keeps away the smell of mouth. Hot lemon water acts as a diuretic and helps to purify the urinary tract and stimulate urine production. The citric acid contained in the lemon is helpful in the detoxification process, which is necessary to keep urine path free of infection. Women who suffer from UTI (urinary tract infections) often need to drink hot lemon water daily to get relief from urinary infection. As we know, lemonade is very beneficial for our health, but we can take these benefits completely if we take it regularly. Lemon juice has a taste and medicinal properties, and it is also very easy to make. Today we are going to tell you about lemonade recipe. 👉Always use fresh lemons to make lemonade. 👉To make lemonade, squeeze half lemon in 8 ounces hot or cold water and then drink it. 👉If you want to make it tasty, you can use black salt and sugar according to the taste and drink it. In addition, by adding the following ingredients in lemonade, you can enjoy it by changing the taste of your will. 👉In Lemonade you can also add a little bit of mint juice. 👉Lemon can be used to lose weight by adding some teaspoon honey in the water. 👉You can also add a piece of fresh ginger in it. 👉Add a pinch of cinnamon to make lemonade better. 👉You can also add other fresh fruits such as lemon and orange , or cucumber slices. In this way you can also make lemonade of various types and take advantage of its properties with its flavor. 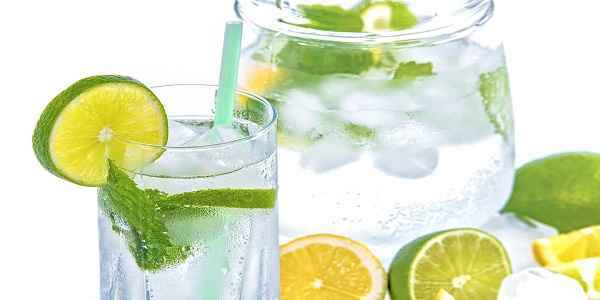 Lime water is very beneficial for our health. It turns out toxic substances in our body and also cures lack of water in our body. You can drink lemon water at any time, but after drinking it in the morning, will give you best effects. According to Ayurveda, whatever you eat in the morning affects your entire day. By drinking lemon water in the morning, the toxic substances get out of your body and your digestive system remains healthy. With this, drinking lemon juice in the morning also helps you lose weight. You may also have many problems by taking lemon water in excess quantity. 👉 Taking too much acid content causes problems in our body, and its first effect is understood in the tooth. To have high levels of lemon, you will have trouble with dentistry in the teeth, this means that if you eat more cold or more hot food, there will be a lot of tingling in your teeth. Many times eating lemon is more likely to cause tension in teeth. Do not brush for half an hour or half an hour after consuming lemon water. It can damage your teeth. 👉 Excessive intake of raw lemon juice in one day can spoil your stomach. The lemon is naturally acid and excessive amount of acid in the stomach can bother the mucous membrane of the digestive tract, which may cause you to suffer from stomach pain or diarrhoea. 👉 The acid contained in the lemon can also have a negative effect on your acne and bleed out of them. 👉 Excessive consumption of lemon can make your stomach very acidic by stimulating acid production. This can lead to severe peptic ulcer . 👉By taking more lemon water, stomach and chest burns also occur. Acidity increases in the stomach, causing stomach ache, food does not digest. 👉 Higher consumption of lemon can induce symptoms of migraine. 👉 Black people with black skin should avoid using lemon juice on the skin as a treatment for acne because it can cause dark spots on the skin. 👉 Vitamin C is very high in lime. This increases urine production in kidneys, it helps in the removal of the toxic element and sodium of the body. But by taking lemon water in very high doses, this water level in the body gets messy. This will also cause you dehydration problems many times, in this way you should reduce lemonade in your diet.